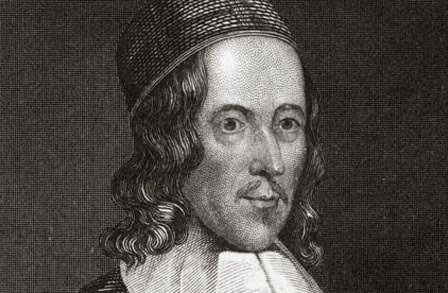 George Herbert (1593—1633) had not published a book of poetry in his own lifetime, but his book The Temple did appear shortly after his death in 1633. He and John Donne are the most influential of what we today call the Metaphysical Poets —a group that also includes, Henry Vaughan, Andrew Marvel and Thomas Traherne. It seems that Herbert's ambition had nothing to do with fame, but with looking deeply into his own soul and seeking to be honest before God. Even so, his fame outstrips that of many who were seekers of a reputation. His influence is felt, not only in the poetry of the seventeenth century, but also in such writers as Emily Dickinson, Gerard Manley Hopkins, T.S. Eliot and W.H. Auden. Herbert's poetry is suitable for spiritual meditation—helpful as we seek to reflect on God's faithfulness, and on our own fickleness. -----------Guilty of dust and sin. -----------So I did sit and eat.